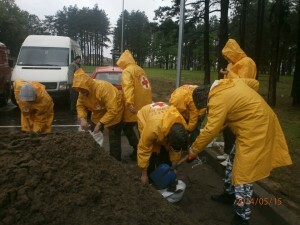 (WOSM Europe/Beograd) – High floods in late spring seem to strike parts of Europe with a frightening regularity these days. 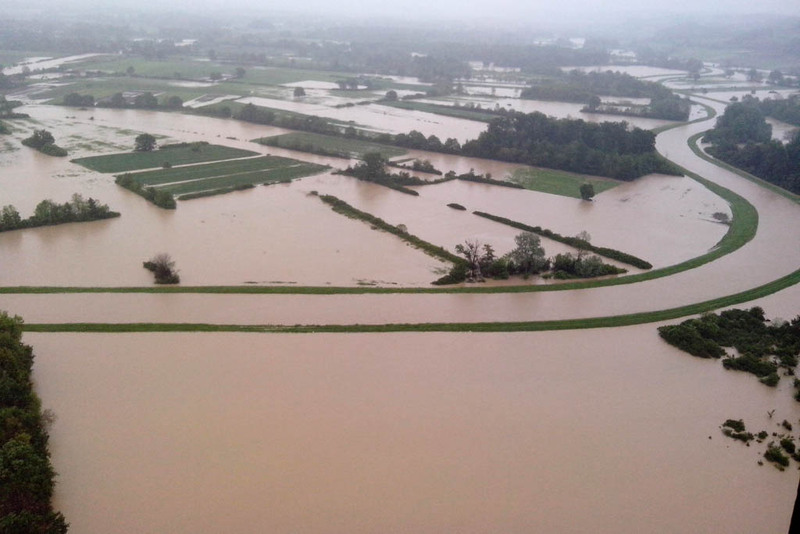 While it was regions along the Danube, Elbe and Vltava rivers which suffered most last year, the last days saw large parts of Bosnia-Herzegovina and Serbia suffer from torrential rains and subsequent high waters, in many places beating the record heights measured for more than 100 years! Nikola, from Savez izviđača Srbije (SIS, the National Scout Organization (NSO) in Serbia), has sent us the following report. And we know from other sources that similar activities are currently under way in neighbouring Bosnia-Herzegovina. A wave of unprecedented help has followed the most recent heavy downpour and subsequent sudden increase of water levels in rivers across our country, and SIS was among the first associations to help residents affected by what has been described as the worst flooding in the history of the country. The flood did not just strike the flat country side but also Belgrade, our capital city, situated on the Danube, which had to take in a lot of water and subsequently reached record heights as well. And one of the first to join professional rescue were volunteer teams in that city, were a number of inhabitants were trapped in their homes. Trained and skilled volunteers from different Scout groups, together with Sea Scouts and their boats, teamed with professional emergency and rescue teams to get the people out of their flooded homes to the safe areas. The situation was so critical that the government declared a nationwide state of emergency and ordered the evacuation of Obrenovac. Here, Scouts were active in providing emergency shelter and relief to evacuated people. Leaders and Scouts from different groups organized a communication centre in SIS’s office in Belgrade to coordinate the actions of scout groups across the city. Currently, some of the Scout Groups are helping with putting up beds, and assisting with distribution of food and clothing to those evacuated from the flooded areas, while other are busy collecting donations. 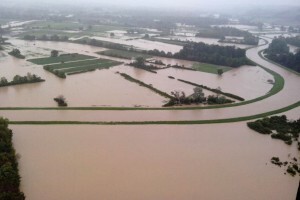 In Sabac, in the western part of the country, where the level of river Sava continues to increase and is threatening to flood the entire city, the local Scout Council has opened its premises to accommodate the people evacuated from the areas nearest to the river. While some of the Scouts are busy preparing hot meals and drinks for evacuees, others have teamed up with the local Red Cross to fill sand bags used to raise the walls protecting the city. The Council is also engaged in coordinating the increasing number of other volunteers who have arrived from other less exposed areas around the city and who want to give helping hands. Meanwhile, Scout Groups, their members, friends and families in less suffering areas of Serbia have set up collection points for donations (food, clothing, toys, blankets, sleeping bags etc.) which will be sent to those in need. Calls for donations have been launched on different social media networks and already show positive results. A great thank you to all you give and share! This morning, all Scout Groups in the city of Nis decided to open their Scout Halls where they will collect food, clothing and other items. As the situation in certain areas of the country remains critical, Scouts across the country continue to provide a variety of support to those in need. Please contact the European Scout Office should you want to support the efforts of the Scouts in Serbia and in Bosnia-Herzegovina (and in other countries who may be suffering from this flood and its consequences) in one way or another.